With a stay at New World Hotel, you'll be centrally located in New York, within a 10-minute drive of Brooklyn Bridge Park and Brooklyn Bridge. 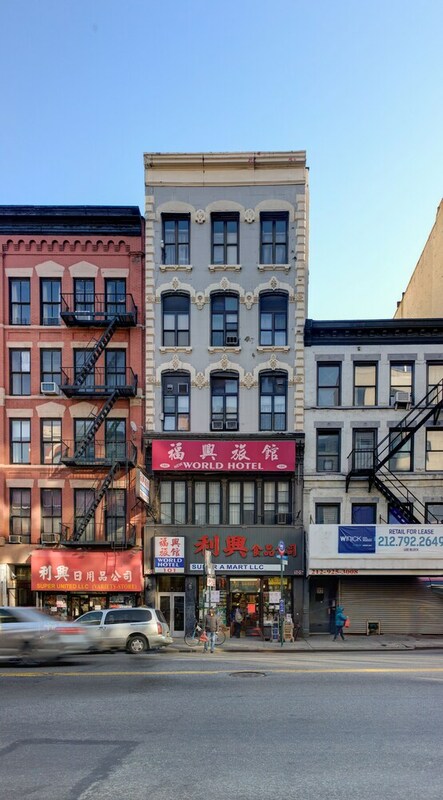 This hotel is 1.3 mi (2.1 km) from New York University and 1.3 mi (2.1 km) from 5th Avenue. Make yourself at home in one of the 60 air-conditioned rooms featuring flat-screen televisions. Complimentary wireless Internet access keeps you connected, and cable programming is available for your entertainment. Bathrooms have complimentary toiletries and hair dryers. Conveniences include ceiling fans, housekeeping is provided daily, and irons/ironing boards can be requested. New World Hotel features a 24-hour front desk and luggage storage. Newspapers are complimentary, and wireless Internet access is available (surcharge). The hotel also offers business services. Many dining options are available within walking distance of New World Hotel.